We live by the toil of their ink and the shedding of their blood, inspired both by their death and as importantly by their example in life. 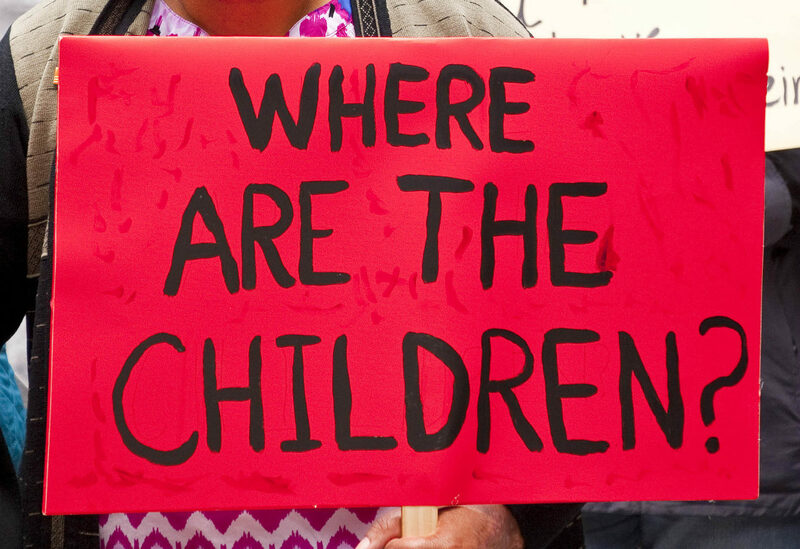 Are border protests about the children — or Trump? Indeed! Why not? Question to our liberal Hebrew brothers and sisters: How much of this is about “the children” and how much is about Trump? I would like to register my objection to J.’s publication of horoscopes in a column entitled “AstroloJew.” There are multiple grounds for my objections. First, astrology has failed every scientific test to which it has been put. For example, no correlation has been found between horoscopes and measures of personality, such as the MMPI. Professional astrologers have repeatedly failed such simple tests as being able to determine beyond chance which horoscope belongs to a Nobel Prize winner and which to a mass murderer. Second, although Jews under Hellenic influence dabbled with astrology around the time of the Romans (e.g., the mosaic at the Beit Alpha synagogue), astrology then had about the same connection to Judaism as a Hanukkah bush does now, that is, a nod to the predominate culture of the day. However, my chief objection to your column is that it lumps people together into vaguely defined uber-classes. All Capricorns are such and such sounds a whole lot like “all Jews are good negotiators,” or “all Jews are ­­­­­…” (you fill in the blank). Haven’t Jews suffered enough from group stereotyping throughout the ages? I want to send a yashar koach to Dawn Kepler for her “Mixed & Matched” column, particularly the most recent (“I found religion. My partner left it. What will happen to our kids?”). Our tradition presents certain barriers to mixed couples and their descendants. Our communities often present additional barriers, completely unwarranted. Dawn, your advice on how to navigate these very difficult situations shows an amazing sensitivity and respect for all parties. Your perceptiveness is remarkable, even if you have met with these people in person rather than gleaning everything from the short quotations that you include at the beginning of each column, as you would have us believe. It is easy to take the idea of pluralism lightly. It is in fact a difficult ideal. Your column is a model for all of us. Had the press done its homework before its outburst of emotional reporting regarding Rabbi Dov Haiyun, ugly outbursts against Israel would not have been widely dispersed, which exacerbated Israel-diaspora tensions among other things (“Why Israel detained a rabbi for performing a wedding — and why people are angry about it”). Rabbi Haiyun deserved better treatment and also deserves a well-publicized apology. So does the readership of Israeli newspapers, since a work-around regarding marriage has long been in effect in Israel, and even some Orthodox rabbis are performing private wedding ceremonies outside the rabbinate. Right now, Israel is under terrible pressure and needs support, not a laser focus on craziness that all societies share in various ways, but which is so often presented as a problem for Israel without any comparison to truly awful things occurring elsewhere. This marriage/rabbinate situation will either be addressed directly, or it will continue to be worked around, since that is serving as a clumsy but effective compromise, which mostly meets most people’s needs. Letter-writer Tom Kahan’s criticism of Judge Brett Kavanaugh’s writing on impeachment confuses the issue of congressional oversight and investigation of a sitting president with the criminal investigation of that president (“Tell it to the judge,” July 13). “Your Honor, how can you have impeachment without investigation?” Impeachment is a political process, not a criminal indictment. It originates with the House of Representatives and then occurs in the Senate. Congressional oversight of the president has been the norm since President Washington. It is through this oversight that Articles of Impeachment are to be drafted. House votes initiated the impeachments of Presidents Andrew Johnson and Bill Clinton. While a special counsel report preceded the vote in the latter case, President Clinton’s impeachment was still a terrible mistake. The Constitution does not preclude criminal indictment but rather defers it to after removal from office. Article I, Section 3, is quite clear: “Judgment in Cases of Impeachment shall not extend further than to removal from Office… but the Party convicted shall nevertheless be liable and subject to Indictment, Trial, Judgment and Punishment, according to Law.” “Party convicted” refers to a public official who has been removed from office through impeachment. In his piece on bail reform, Judge Quentin Kopp’s rosy portrayal of money bail in California simply does not square with reality (“Critics of the bail system are off the mark in criminal cases”). Our bail system is fundamentally broken, unjust, and makes all of us less safe. Setting a dollar amount to be released from jail before one’s trial advantages dangerous offenders who happen to be wealthy and needlessly detains those with lesser means, disproportionately people of color. Defendants could spend weeks, months or even years waiting behind bars without ever having been charged with a crime. It’s costly, ineffective and damaging to the integrity of the justice system. The judge is also wrong to portray organizations like Bend the Arc as outliers in calling for money bail reform. In addition to a broad and diverse coalition of Californians, the state attorney general, the chief justice of California’s Supreme Court and the state Assembly all agree that it’s time for reform. California needs a criminal justice system that prioritizes public safety and restores justice to the pretrial process, and the Money Bail Reform Act (SB10) is an important step toward achieving that goal.